A two-day workshop will be conducted in Delhi from the 17th to 19th February on Digital Literacy and Innovation for Tomorrow’s Education. During the course of this workshop four “Digital Literacy Champions” will be selected amongst the fifty teachers who attend the Delhi workshop, based on their applications. These four teachers from the University of Delhi will be heading for a workshop on digital literacy at Edinburgh College, Scotland. The training programme at Edinburgh has been designed to introduce a range of unique digital tools, productivity software and digital communications methods. A report even suggest that on their arrival from Scotland, these champions would assist the University professors in delivering the course to the students at the Campus of Open Learning. The course will cover areas of planning, e-pedagogical issues, sharing of professional practices and also encouraging teachers to encourage global citizenship. This project was taken up by UK-India Education Research Initiative (UKIERI) to work with the digital literacy sector of both the countries last year. Funded by UKIERI, the project is called Digital Literacy and Innovation for Tomorrow’s Education (D-LITE). 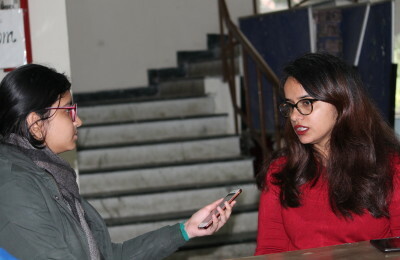 Read DU Beat’s coverage of the project in its year of inception here.